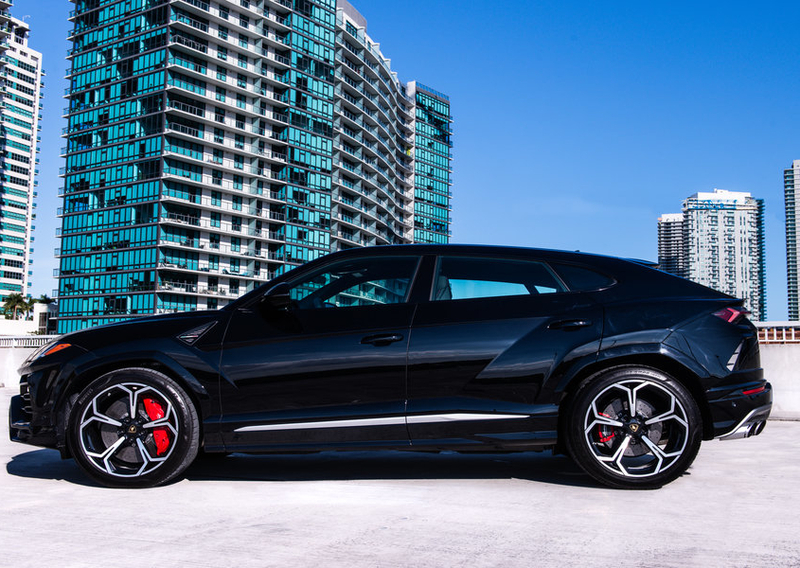 Why should you check out the Lamborghini Urus for rent? First of all, it’s among the most exhilarating SUVs to ever hit the streets. 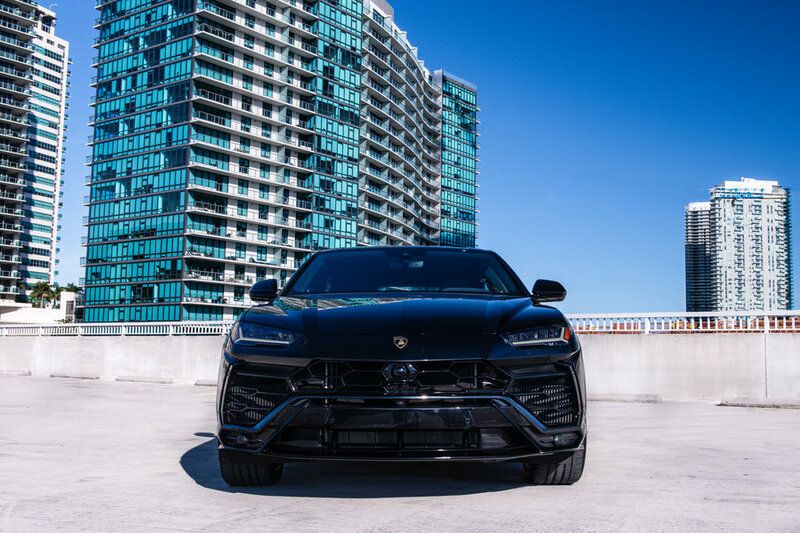 When driving the all-new Urus around South Florida, expect to get a lot of attention. This SUV’s sleek and elegant design will cause everyone to stop and take notice. Many of its dynamic styling cues are derived from the legendary Lamborghini Countach. Stretched LED headlights help give the Urus an even more distinctive look. 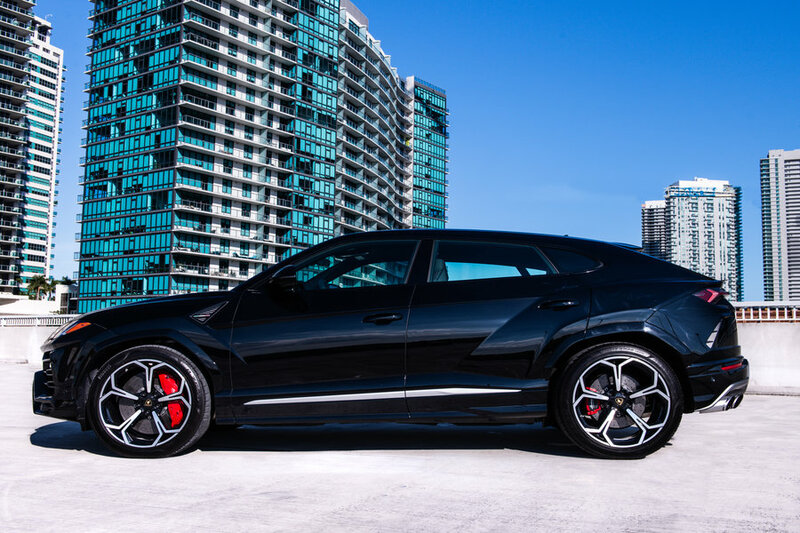 Accented by red brake calipers, the performance alloy wheels further enhance the Urus’ sporty stance. 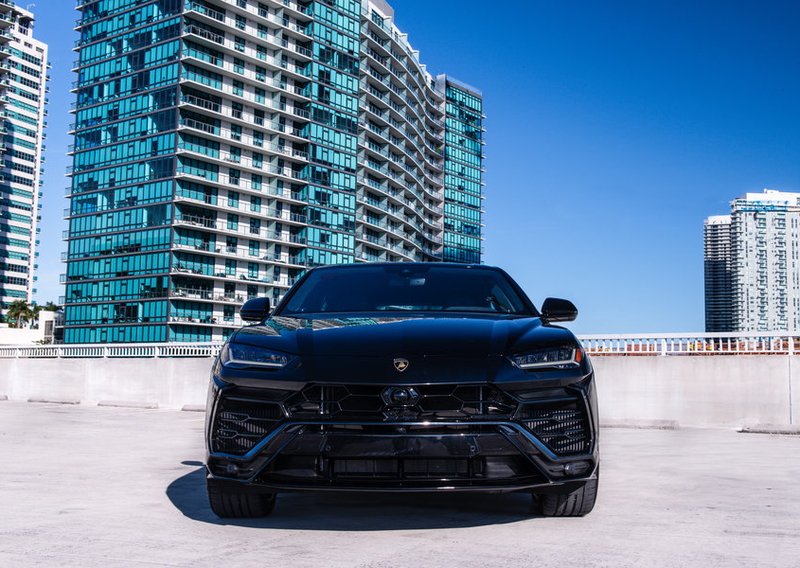 Exhilarating performance is another reason why the Lamborghini Urus for rent has the heart and soul of a genuine supercar. Under the hood sits a twin-turbo V8 engine, which pushes out more than 600 horsepower. An eight-gear automatic transmission promotes the maximum responsive. 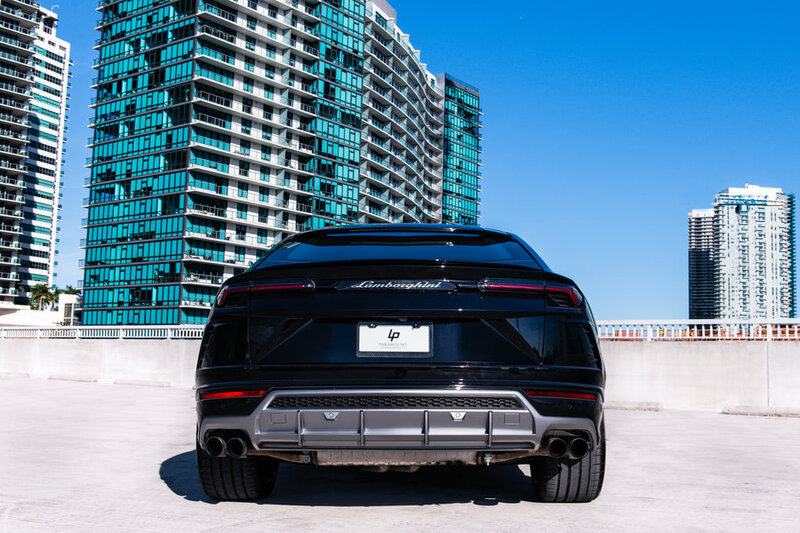 Meanwhile, Lamborghini’s sophisticated torque-vectoring AWD system ensures all of the available power is put to the pavement. 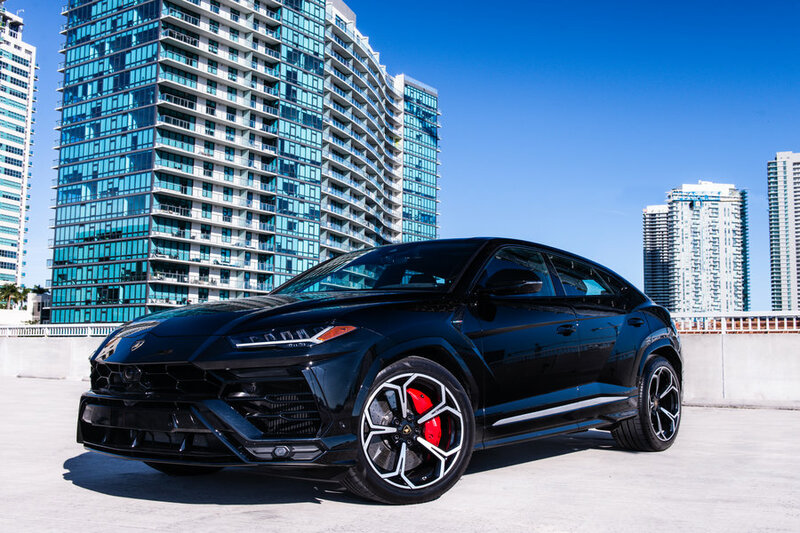 Staggering performance numbers put the the Urus in an elite class of SUVs. 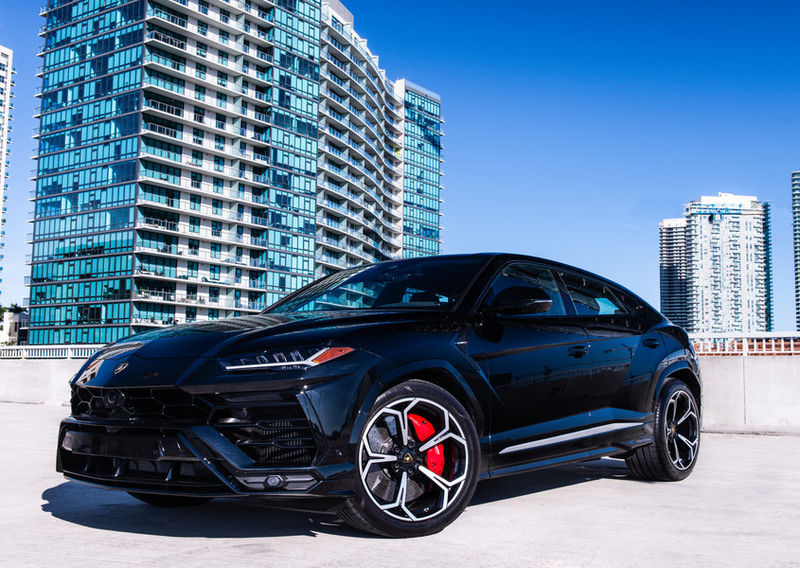 Not only does the Urus clock a 0-60 time of 3.0 seconds, but it also boasts a top speed of 217 mph. Besides delivering unmatched driving excitement, the Urus also provides superior comfort. 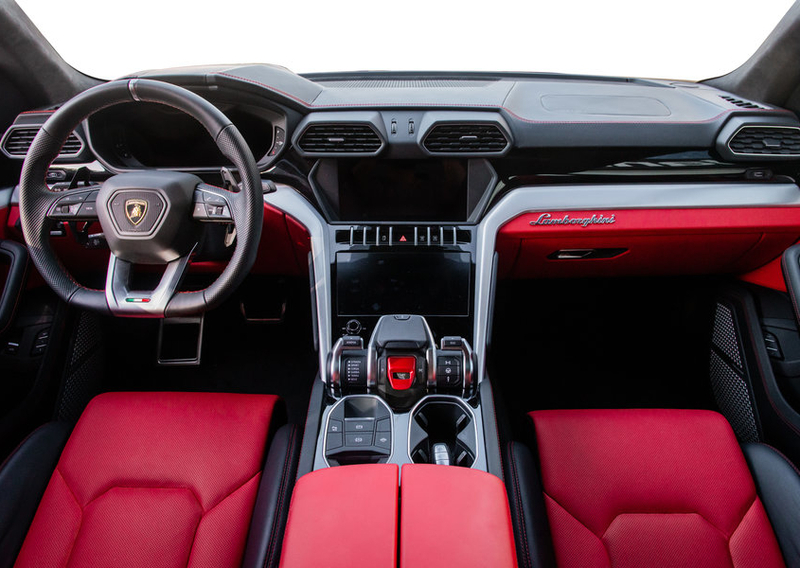 A race-inspired cockpit adds to the excitement of the Lamborghini Urus rental in Miami. 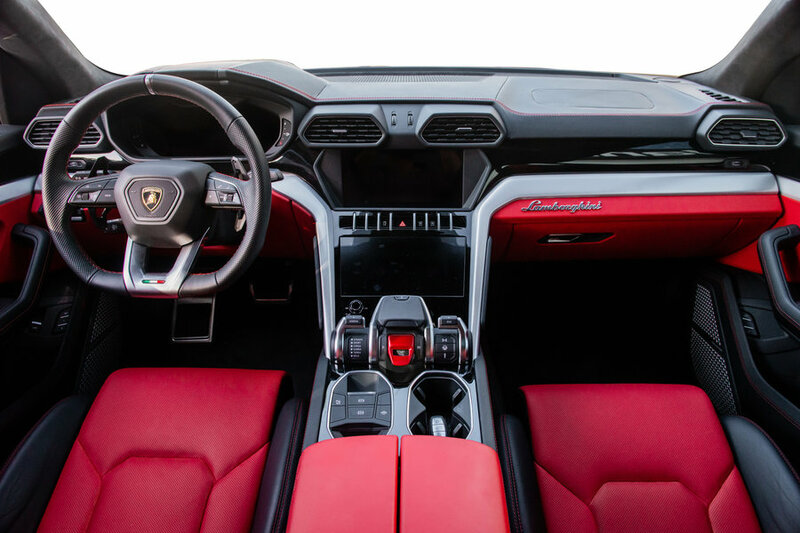 While the Urus is designed to capitate drivers, there’s no overlooking its luxurious Italian craftsmanship. Soft, natural leather seats enable you to experience pure comfort on the road. 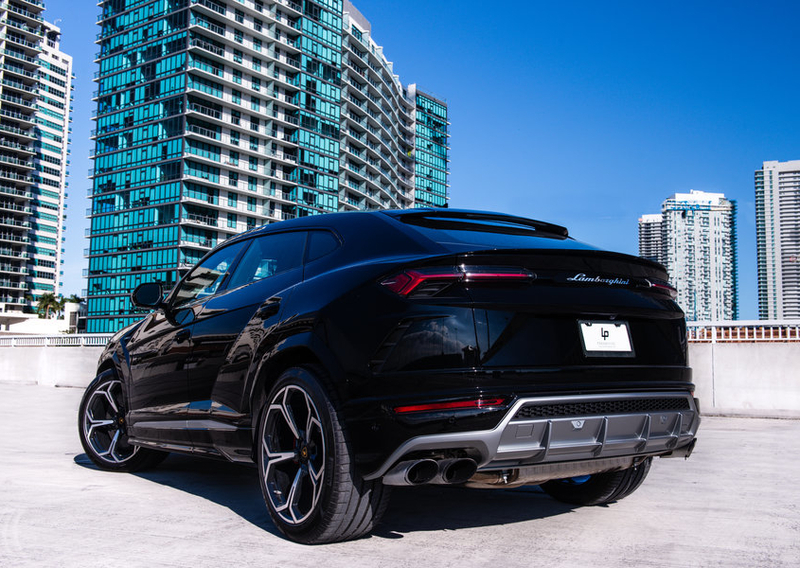 With more than enough space to accommodate for up to four adults, the Lamborghini Urus rental in Miami is a vehicle you can enjoy with all of your friends. 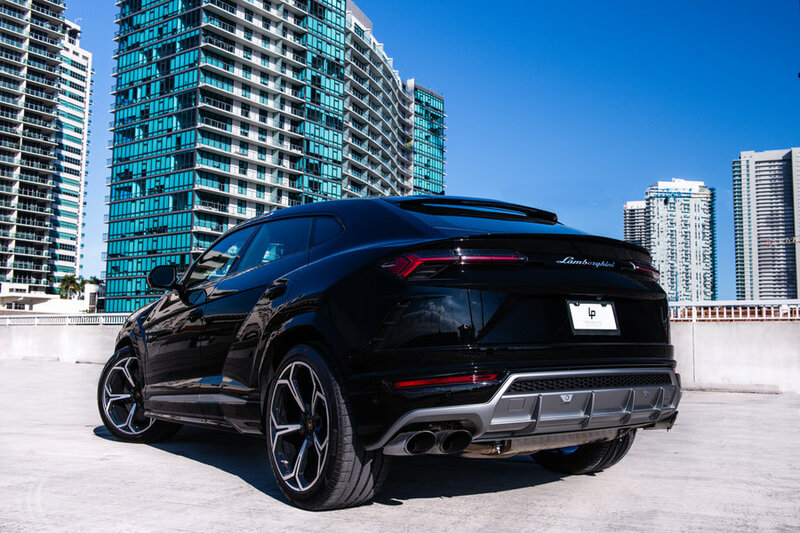 While behind the wheel of the Lamborghini Urus for rent, you’ll be surrounded by exciting features. A high-resolution infotainment system enables you to access all of your favorite smartphone apps. Also, a 21 speaker Bang & Olufsen sound system allows you to really crank up the volume. 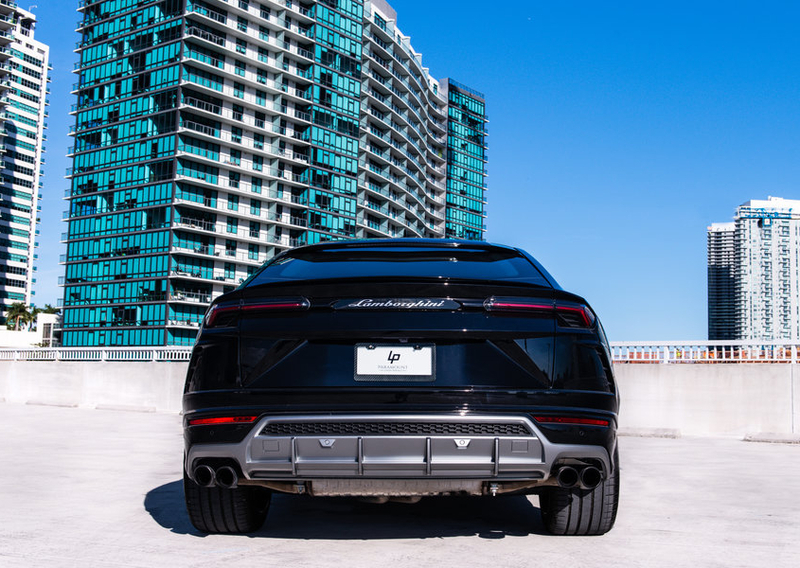 To rent our beautiful Lamborghini Urus in Miami and South Florida, call (786) 441-7392.